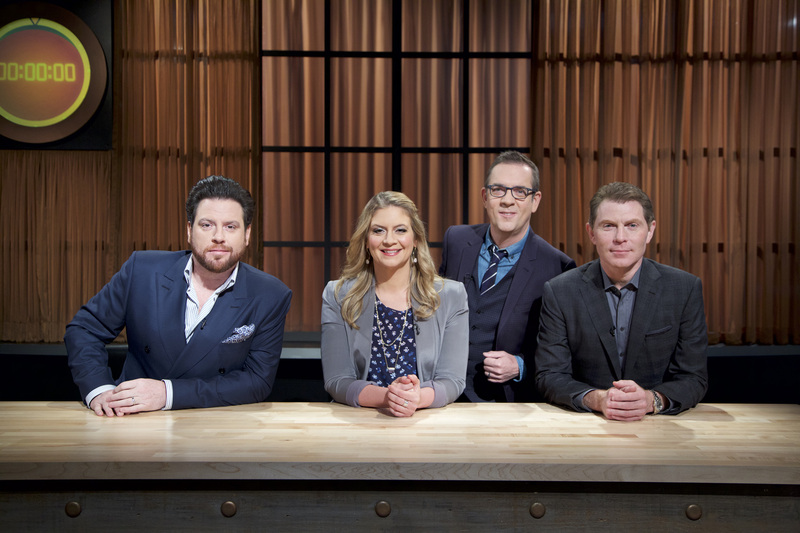 PR Newswire, NEW YORK – September 13, 2016 – Two great Food Network forces collide in one incredible, four-part tournament in CHOPPED: BEAT BOBBY FLAY, premiering Thursday, October 20th at 9pm ET/PT. Twelve returning Chopped champions bring their bravado and culinary talent back to the Chopped kitchen, as they are tasked with making unforgettable meals from a basket of mystery ingredients over three rounds – appetizer, entrée, and dessert – with a limited amount of time. 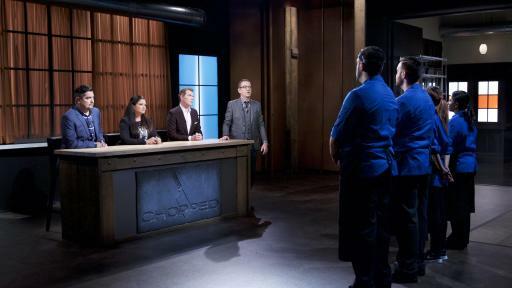 However, for the first time in Chopped history, Bobby Flay, culinary icon and host of Beat Bobby Flay, joins host Ted Allen and a rotating panel of Chopped judges through the three preliminary heats at the judging table, as each basket will feature a surprise ingredient selected by Bobby himself to stump the returning champs. The winner of each of the three heats will move on to a spectacular grand finale, as the final three chefs battle it out to see who will win $15,000, with the winner going up against Bobby himself in a bonus round to earn an additional $25,000. Can Bobby spoil the chances of one talented chef, or will the challenge of Bobby having to make the competitor’s signature dish…with the added twist of having to use the mystery basket ingredients, prove to be too much? 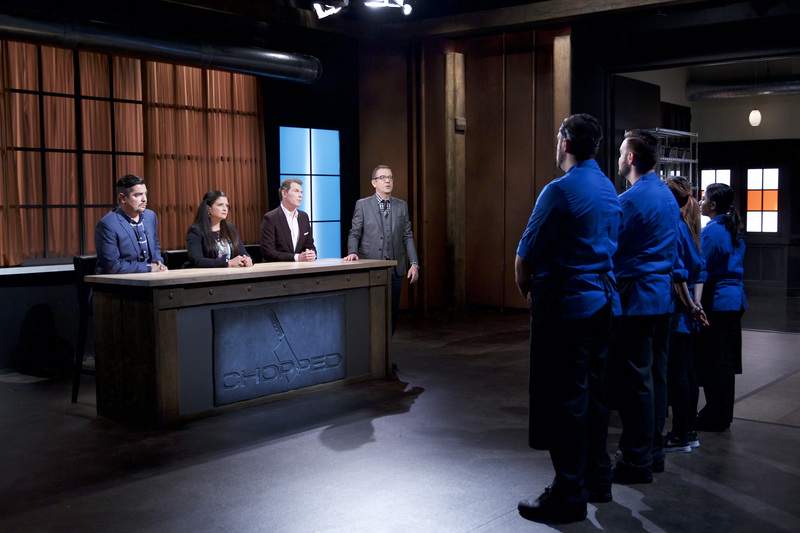 Get more insight on the CHOPPED: BEAT BOBBY FLAY tournament, where you will uncover photo and video highlights, relive top moments, and hear from the winning contenders. 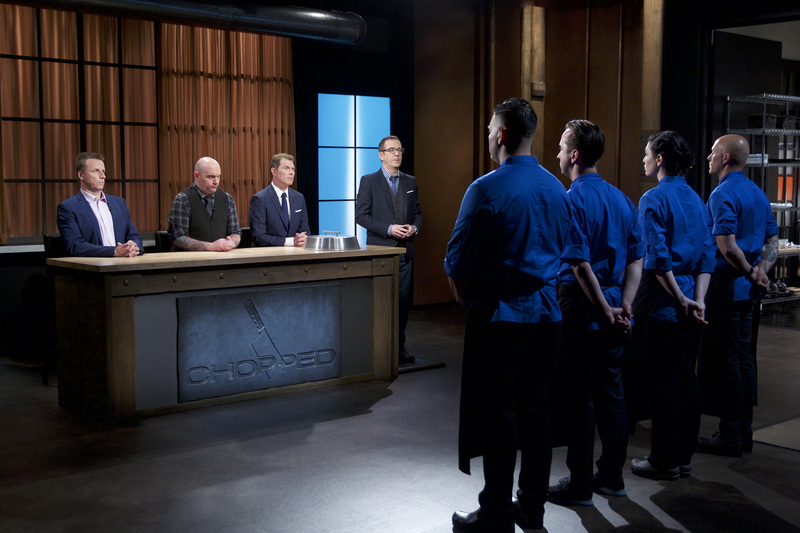 Join in on the conversation using #Chopped. Premiering Thursday, October 20th at 9pm ET/PT – TOURNAMENT PREMIERE! 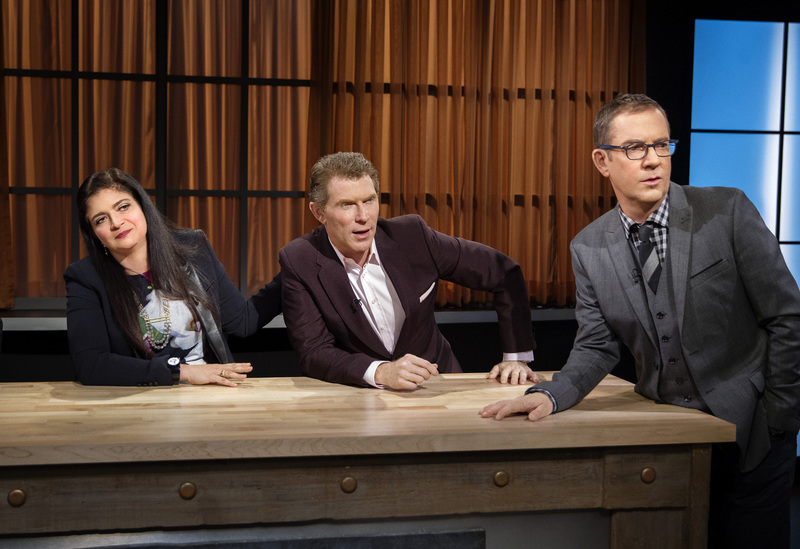 Over three preliminary battles, Chef Bobby Flay sits on the judges’ panel, as twelve returning Chopped champions sweat and scramble to get to the grand finale. There, Chef Bobby himself will compete in a title fight against the champ of all champs. In the appetizer round of this premiere competition, the champions are tested with a Scandinavian fish and a sugary cereal. A flowery syrup and an onion with sprinkles appear in the entrée round, and sandwiched between a cheesy sandwich and some jelly in the dessert basket, the chefs find an ingredient that Bobby particularly likes. 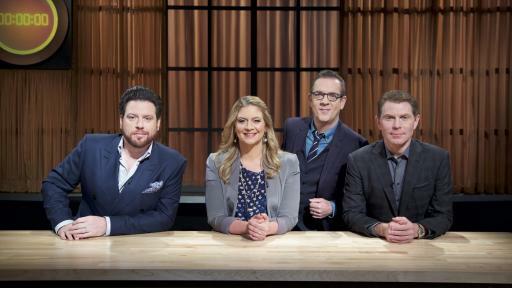 Four new returning champs battle with all they’ve got to determine who will be a finalist in the first CHOPPED: BEAT BOBBY FLAY tournament. A seafood that needs to be tenderized and a canned product that needs to be creatively incorporated, are two of the ingredients the competitors find in their appetizer basket. A king of the sea and a cake of the ice box are found in the entrée round mystery basket. Then in the dessert round, an ingredient that Bobby loves ends up in one the chef’s ice cream recipes, but trouble with the machine has everyone wondering how it will turn out. 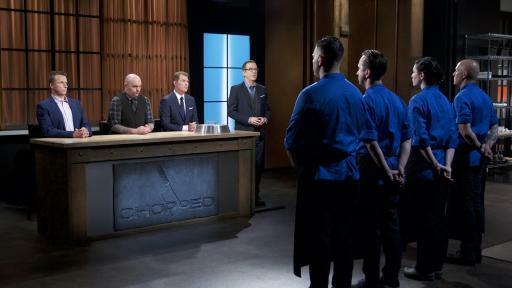 In the last preliminary battle, a set of twins are among the returning Chopped winners striving for the opportunity to make it to the finale and battle it out against Bobby Flay. In the first round, a cold soup and a stuffed lobster challenge the champs, and keeping track of all four ingredients proves problematic for some. 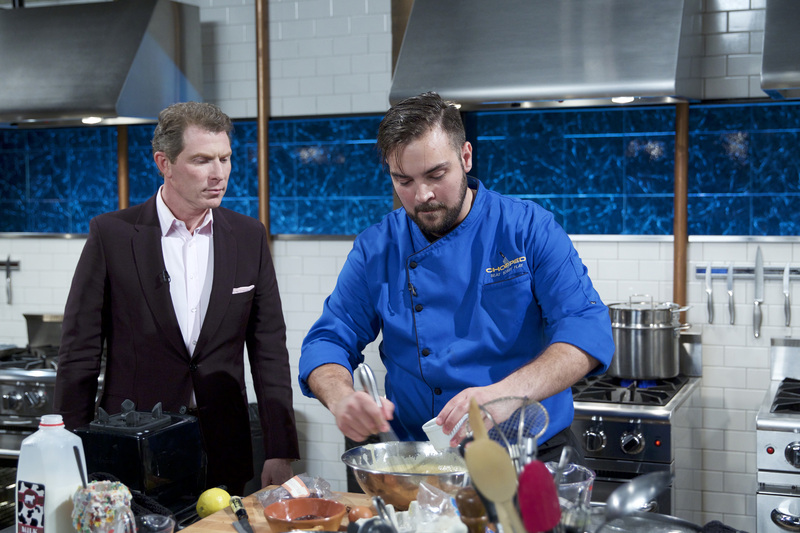 The entrée basket includes a giant piece of meat and some tasty little dried fruits, and nobody knows how to pronounce the name of a Swedish cookie in the final basket; but will the two chefs who are making dessert know what to do with it? Premiering Thursday, November 10th at 9pm ET/PT – TOURNAMENT FINALE! The $40,000 title finale is here! 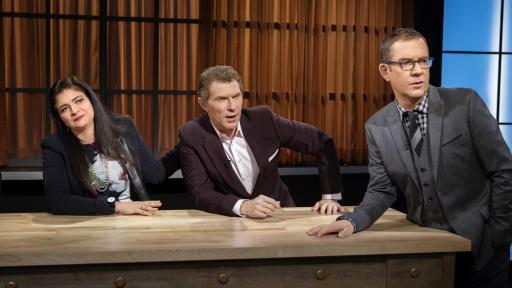 Returning Chopped champions compete over three rounds to see who gets to face Bobby Flay. The group of three undefeated champs must make appetizers with camel meat and a strange sauce, and the level of difficulty in the entrée round is off-the-charts. 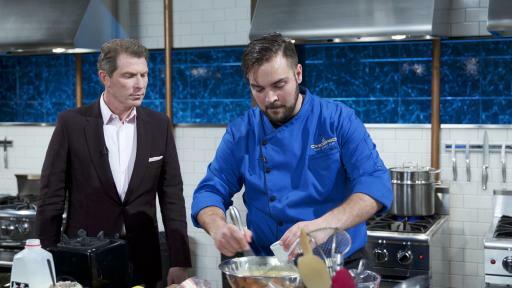 The one contender who survives to compete in the highly anticipated Bobby Flay bonus round has the advantage of making their own signature dish, but using ingredients from a Chopped basket! FOOD NETWORK (www.foodnetwork.com) is a unique lifestyle network, website and magazine that connects viewers to the power and joy of food. The network strives to be viewers' best friend in food and is committed to leading by teaching, inspiring, empowering and entertaining through its talent and expertise. Food Network is distributed to more than 100 million U.S. households and up to 35 million unique web users monthly. Since launching in 2009, Food Network Magazine's rate base has grown 13 times and is now the third largest monthly magazine on the newsstand, with over 12.4 million readers. Headquartered in New York, Food Network has a growing international presence with programming in more than 150 countries, including 24-hour networks in the United Kingdom, Asia, and the Europe, Middle East and Africa (EMEA) region. Scripps Networks Interactive (NASDAQ: SNI), which also owns and operates Cooking Channel (www.cookingchanneltv.com), HGTV (www.hgtv.com DIY Network (www.diynetwork.com), Travel Channel (www.travelchannel.com) and Great American Country (www.gactv.com), is the manager and general partner.